ICSI Cable provides analog and digital cable programming to the community of Ile-a-la-Crosse. 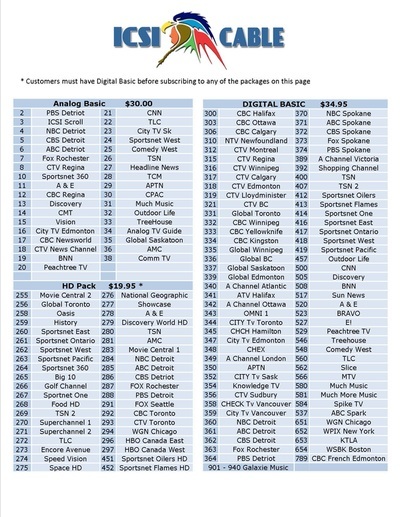 With 38 analog, 250 digital and 39 HD Channels we have many options to suite your cable needs. Stop by the ICSI Cable office today or call 306-833-2173 for more information.